The first derby of the season is here and you know what, I am not scared in the slightest. I will admit that on derby days gone by I have been nervous, not nervous of being defeated but nervous because of the possible hammering you can get off a team like Man Utd. This is not the case this time round, I am convinced that we can beat Utd. Utd fans will have you believe that they are not frightened of our talented squad, but they are. I am not saying that we will definitely win because when anyone comes up against Utd you just can't possibly say that, but what I will say is that we are not bothered about them anymore and can match them in quality. Now to forget about the City vs United rivalry, this game is another good test for us. United are still a strong team, people try and convince themselves that they will not be as good without Ronaldo and it is just not the case. United are still a strong, slick, organised team and if you give them the chance they will punish you without question. We must work hard and match them in every area of the pitch, we have to hurry them and make them make mistakes, it is basic stuff but will be key to beating and organised side like Man Utd. I think after tomorrows game win or lose, we will be able to evaluate our title potential. If we go to Old Trafford and get played off the park then I think we have no chance, if we can compete then I may start thinking that fiver I bet on a league win is looking good. United's players are just men, our players just need to be better men on the day! 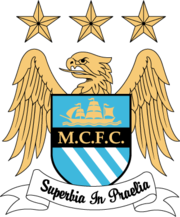 City til I die!!!! Roque Santa Cruz (knee), Vincent Kompany (ankle/foot), Michael Johnson (hip) and Benjani (thigh) are all still out. Robinho misses out with an ankle injury and Stephen Ireland is carrying a knock, but he is expected to play. Carlos Tevez is doing all in his power to be fit, City will decide right before the game if he can play or not. Adebayor is suspended for kicking Robin Van Persie in the face. Ferdinand is expected to miss out after he aggravated his groin injury against Spurs and Edwin Van der Sar (hand), Rafael (shoulder), Owen Hargreaves (knees) and Gabriel Obertan (back) are all definitely out. Giggs may return to the team in place of the suspended Scholes and Berbatov may come back in to partner Rooney up front. Possible Man City Line Up: Given, Richards, Bridge, Toure, Lescott, De Jong, Barry, Ireland, Wright-Phillips, Zabaleta, Bellamy. 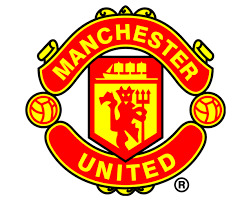 Possible Man Utd Line Up: Foster, O'Shea, Evans, Vidic, Evra, Nani, Fletcher, Anderson, Valencia, Berbatov, Rooney. Worth A Bet: Gareth Barry scores for City in a 2 - 0 win.